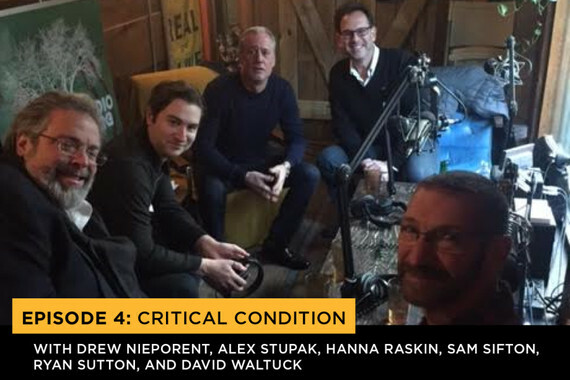 What do you get when you combine two pro-cooking insiders (a chef and a writer), an ever changing roster of industry guests, and a room full of microphones? 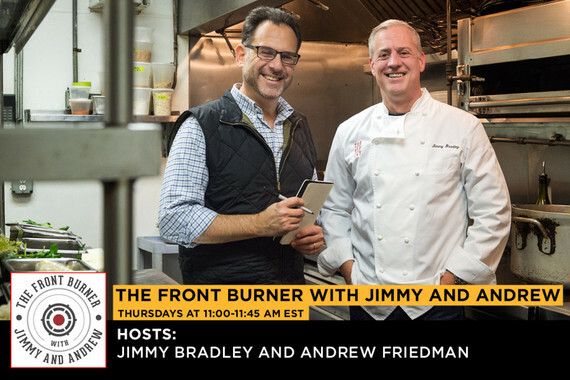 The Front Burner with Jimmy and Andrew, a new show on Heritage Radio Network that tackles breaking industry news in the professional cooking world. Think of it as Meet the Press, for chefs. The Front Burner with Jimmy and Andrew airs live every Thursday at11:00am EST. Episodes are available on demand at HeritageRadioNetwork.org. We recommend subscribing on iTunes for the freshest episodes downloaded automatically every week! Why did you decide to create The Front Burner? Who might be interested in your show? What you're interested in exploring this season? We can't say... and that's the great thing about the show! We will conform to the news as it unfolds. What we can promise is that we'll have the biggest names in the business; our first month included Dirt Candy chef Amanda Cohen, Tasting Table editor at-large Kat Kinsman, Empellon chef Alex Stupak, restaurateur Drew Nieporent, the New York Times' Sam Sifton, Eater restaurant critic Ryan Sutton, and legendary chef of Elan (and formerly Chanterelle) David Waltuck. A number of long-simmering tensions between chefs and the media recently boiled over following the New York Times bombshell Per Se review. An all-star round-table representing both camps, and several generations, join Jimmy and Andrew to make sense of it all this week. David Kinch of Manresa restaurant in Los Gatos, CA, joins us to discuss his just-opened restaurant The Bywater, a casual, resolutely non-pretentious ode to the food and drink of the city where he grew up, New Orleans. In our Shop Talk segment, three young guns -- Michael Gibney (author of Sous Chef), Ashley Rath (sous chef at Santina in NYC), and Jaime Young (former chef de cuisine of Atera in NYC) join us to discuss the life of a sous chef in 2016. Mental illness, psychological disorders, and substance abuse have been a part of the DNA of professional kitchens for generations. Often glamorized or joked about, and just as often swept under the runners, they are rarely taken head-on for the serious challenge they represent to both individuals and the industry. Writer and Tasting Table Editor at-Large Kat Kinsman (author of the forthcoming Hi, Anxiety) and founder of the "Chefs with Issues" project, along with chefs Frank Crispo (of NYC'sCrispo and an industry veteran) and Jesse Schenker (of NYC's Recetteand The Gander), join Jimmy and Andrew to talk about mental health in the kitchen. The Front Burner kicks off its debut episode with an all-star trio of guest chefs ready to dissect the most pressing issues facing the pro-cooking trade as we embark on 2016. Amanda Cohen of New York City's Dirt Candy, Gavin Kaysen of Minneapolis' Spoon and Stable, and Harold Moore of the late, great Commerce restaurant, discuss what it takes to achieve longevity in the current climate, and in different markets.